Barbara Emard joined the company in October, 1984 as a Clerk/Typist. Some may remember her as a former Carnival Queen contestant, having competed in the 1983 contest. Since then she has raised three beautiful children and is a grandmother of two (2). During her 29 years of employment here, she has worked in various departments due to her versatility and presently holds the position of Credit Control Manager. Amongst her accomplishments, she holds the distinction of a Certified Certificate of Insurance Practice (CCOIP) from the Association of Insurance Institutes of the Caribbean (AIIC). 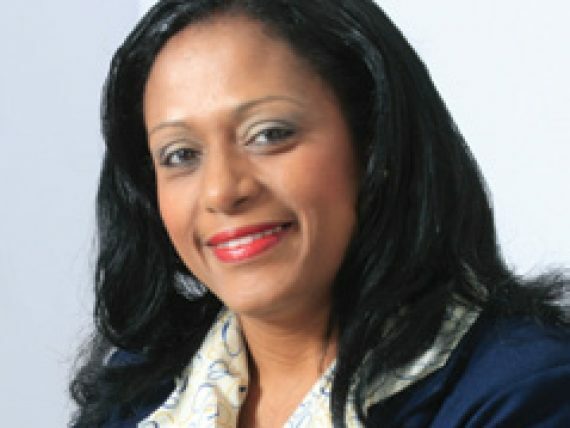 For the periods 2010 – 2012 she served as President of the Insurance Institute of Antigua & Barbuda. Despite such a busy schedule she still finds time to be an active member of the Lions Club of Antigua. Barbara is described as a loyal and dedicated employee of the company and is known to go beyond the call of duty to satisfy her customers’ needs. Pleasant and approachable her mantra is “the customers’ needs come first” . Anjo Insurances has been a family to her as she has dedicated her entire working life to the advancement of this institution. Mrs Emard invites you to visit Anjo Insurances, where she will be more than happy to assist you.